A warm welcome awaits you at the Durdans, an imposing Victorian house sitting in grounds of over 2 acres, and located on the edge of the picturesque seaside village of Mundesley. Set in the North Norfolk heritage coast some 7 miles south of Cromer the village is also on the edge of a designated area of outstanding natural beauty. The house, reached by tree-lined drive, sits back from the road in a quiet and peaceful setting. To the rear the lawns slope down to Mundesley Beck flowing along the northern edge of the gardens with views over open fields and the village golf club. Andrew and Caroline have recently refurbished the property with all bedrooms, ensuites and public rooms recently decorated and bedrooms newly furnished. The large entrance hall is light and airy with open galleried landings above. Off the hall is the dining room where breakfast is served and next door id the large and relaxing guest sitting room. 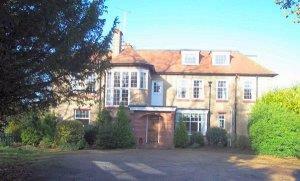 Both rooms have long picture windows with views to the west over the sunken lawn. Start the day with a substantial and hearty Norfolk cooked breakfast with free-range eggs and other locally produced ingredients all brought from the village shops. For those who prefer something lighter the selection includes croissants, fresh fruits and yoghurts. Double room with single occupancy extra cost, also twin room with single occupancy extra cost. From the A140 take the B1436 at Roughton signposted to Thorpe Market. At next cross roads (after 1 1/2 miles) go straight across signposted Southrepps. Continue through Southrepps and after a further 3 miles you will enter the village of Mundesley. We are on the left 100 yards after the village signs. From North Walsham station turn left at traffic lights and the B1145 to Mundesley (approx 5 miles). On reaching the outskirts of the village turn left and left again onto Trunch road heading away from village centre. We are 500 yards on the right.